Long before the Pokemon Go hype train, brand marketers were quick to be part of the attention economy, plastering their messaging all over any platform that was attracting & engaging a demographic that matched its own. In most cases, little care was injected into whether the brand’s value proposition matched the user’s organic experience on the platform. There was, however, one exception. Two years ago, Gameloft launched its mobile advertising solutions thanks to its proprietary ad server and a strong local commercial presence in 80 countries. Aimed at delivering the best mobile gaming inventory on the planet, the company rapidly expanded its advertising formats from a classic display (banners, interstitial, mid rec) to Video, Rich Media and Native, as well as programmatic by early 2016. With its 147 million MAU, 19 million DAU, 2 million games downloaded per day and 8 billion of impression per month, Gameloft was well positioned to serve its worldwide clients. In 2015, Gameloft launched 800 campaigns with well-known international brands like Unilever, KFC, Procter & Gamble, Netflix, Warner Bros, Mercedes-Benz, Disney to name a few. This year, Gameloft worked with Maxis, Malaysia’s leading telecommunication operator, to promote their “HOTLINK” 4G services. The brand was convinced to choose Gameloft for this particular campaign as they were looking for engagement as well as something different that has never been seen before in the country. 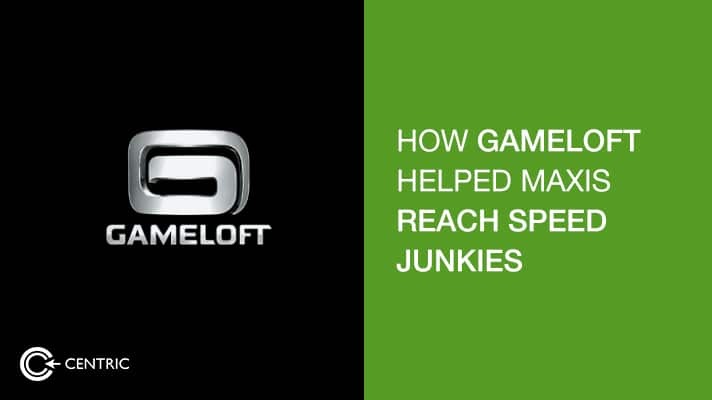 The brief given by Maxis to Gameloft was first and foremost to make sure that the gamers were actively engaged with the brand and associated HOTLINK to the fastest speed known to exist. 2.to make sure the gamers were highly engaged with the brand and associated the product with an exciting and immersive gaming experience. Asphalt 8: Airborne, In-Game Menu. In the end, 8% of the players participated in the sponsored event, with each playing for an average of six minutes per user per day. Players competed for the first place on the leader-board during a 12 days period. Brand exposure was given via a Welcome Screen announcing the race (seen by 100% of the players), in-game visibility (main, event menus and end screen) as well as push notifications. Due to the fact that the brand’s core messaging was in line with an established element of the game (i.e. speed), gamer’s were very receptive to a sponsored event of this kind, playing it up to four times a day on average. In line with its deep understanding of users’ behavior well, Gameloft decided to run this campaign on the weekend, successfully increasing the time customers spent playing the sponsored event. Also, with the opportunities of winning in the game, and rewards captured the interest of the customers joining the sponsored event. The key to achieving success levels like this case is the tie between not just the target audience and the user base, but also how to associate the campaign messaging with a natural element within the activity. Too often, brands jump on board platform that is popular with the demographic that matches their own, falling short because the entire persona of the platform fails to embody their own brand personality. This is why many brands failed to resonate with Pokemon Go, despite all the hype around it. When associating a brand asset to a platform based campaign, it’s imperative to fixate on the commonalities that seamlessly integrate with the user’s experience. No gamer wants to be interrupted by ads, but when the participating brands are helping them achieving an in-game goal, their pleasure receptors forge an association with the messaging and the “epic” moment is achieved. This inception of sorts can only come from careful planning that puts the end user’s experience at the center of the maze. 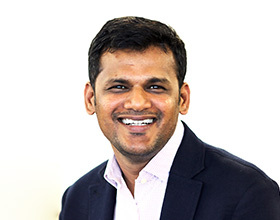 In the same way that companies experiencing digital business transformation use C2 to further segment & dissect the interests of their email base for a moment of truth insights, marketers must align with platforms that naturally represent elements that resonate with their campaign messaging.